Starting a free blog with any platform (blogger, wordpress) is easy but hard to maintain. You have seen many time that blog starts, get popular, attract visitors but suddenly the author stop posting and blog lost its impression, traffic, position and value. As, I myself is running 2 blogs (RealTimeTricks & Movie Fridays) with sub domain under bloggers. I too wanted to know how to make improve my traffic & quality of content so I was searching hard last night and after couple of minutes Google, Recently I came across these 50 points to improve blogs content, traffic, and maintenance. It contains some great unique ideas that I myself have implemented on my blog. 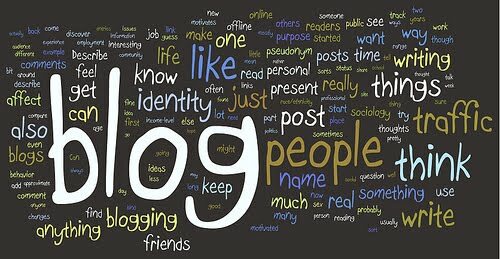 These points have not only help me improve my Technology blog but for them also who are interested to run blogs under their hobby niche. Below are those 50 steps which will show a right way and also change your mindset of blogging. 1. Start a controversy. Just remember not to cross the line. 2. Start a contest. Make sure to end it too. 3. Give away free goodies. People love them. 4. Write about other bloggers to interest their visitors to read your blog. Keep it positive. 6. Interview other bloggers and post the interview . 7. Write about your personal life sometimes. 8. Ask questions to your visitors. 10. Celebrate your birthday with your visitors. Think of innovative ways for doing this. 11. Celebrate your blog’s birthday too. 14. Write an e-book and distribute it to your visitors for free. 15. Introduce a commission based affiliate program . 16. Tell your visitors about your latest fad or obsession. 17. Post interesting pictures of your pets. 18. Congratulate the top commentators occasionally. 19. Encourage sharing of opinions. 20. Donate for a cause or become a volunteer for a non-profit organization. Ask your visitors to join you. 21. Put your blog’s ad in the local newspaper or the yellow pages. 24. Hold an auction and let people bid for something useful (For example, advertising space on your blog). 25. Write about your blog achievements. 26. Share your hopes and aspirations about your blog. 27. Start an award distribution system. 28. Make contact with your local visitors and hold a get-together or a bloggers meet. 29. Start a blog comic strip. 30. Dig up some old article that you wrote on your blog which became famous and start a discussion. 31. Try and get a photograph clicked with a real celebrity and post it on your blog. 32. Post videos that will help your visitors learn something new. Also submit them to video sharing websites like YouTube.com. 34. Post about one of the weirdest thing that you ever did. 35. Get featured in a print magazine. 36. Buy a paid review from any famous blogger(s). 37. Brand your blog with a catch phrase along with a logo. 38. Distribute T-shirts or merchandise with your blog name on it. 39. Join Yahoo! Answers and put a link on your website to your answers. 40. Keep a track of websites that pick up your articles or press releases. Offer them exclusive news or content. 41. Do surveys and publish the results to your visitors. 42. Build tools that your visitors might find use for. 44. Podcasting is another good way to make your blog popular. 45. Publicize your blog to your friends and relatives and let them do some work for you. 46. Be active in Social Bookmarking websites. 47. Share Link Love and you will get it back. 48. People like to read about Web 2.0. Write about it. 49. Write about something that’s already famous. 50. Last but not the least, be yourself confident. Glad you like it, thanks for reading my article. Great ways! really great post keep it up Irfan.